Well, it’s finally raining. I just wish it would keep raining. Luckily the radar looks like there’s more rain coming. Our grafted tomatoes aren’t looking stupendous. I think they were just too small and then the potting mix wasn’t quite as nice as I usually use. They all need some fertilizer, but I don’t want to fertilize yet. I think we’ll have enough plants though, when all is said and done. 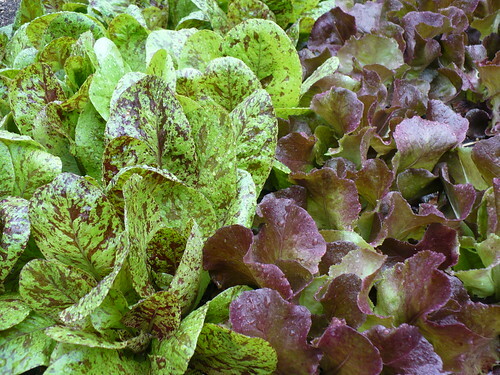 The transplanted lettuce in the Family of 4 Garden has pretty much doubled in size this week. We’ll probably pick a few leaves next week. 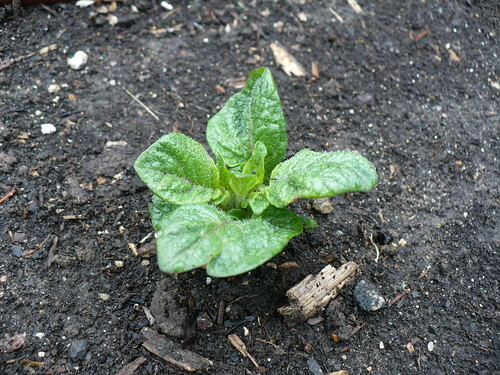 Our ‘Yukon Gem’ potatoes popped up between Wednesday morning and Thursday evening. 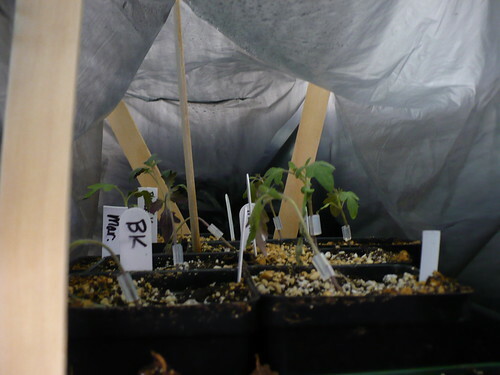 Of course, they emerged from the soil just when the temperature is supposed to get close to freezing tonight. I think they’ll be fine, but we’ll see. The peas are also growing by leaps and bounds. This picture was from Tuesday, and I think they’ve grown at least a couple inches since then. They are just barely starting to climb the trellis. 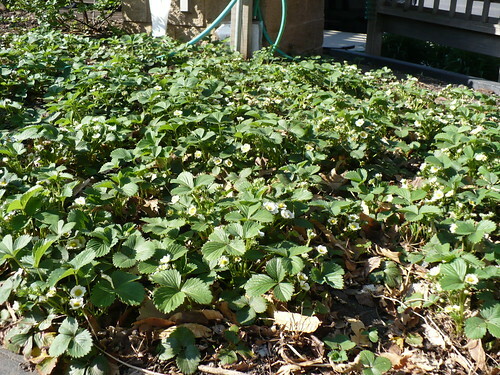 The pattern of strawberry flowers is predicting the pattern of fruit for us. Last week we just have a few big flowers, and this week (really just about 4 days later) there are lots and lots and lots of flowers. Looks like another good strawberry year! 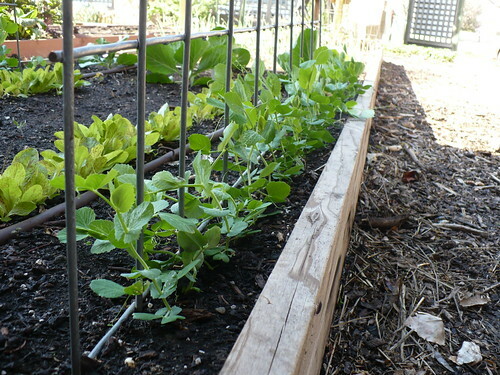 Posted on April 15, 2011, in PhotoEssays and tagged lettuce, peas, potatoes, salad greens, Spring, spring garden, strawberries, Tomatoes, vegetable gardening. Bookmark the permalink. 1 Comment.